Like an open bookshelf, your story needs “bookends”—a solid beginning and ending. We all know how important it is to hook your reader from the first page, but what happens when you’ve hooked them in, but have a less than satisfying ending. It’s likely that the reader will not pick up your next book. I personally find endings much more difficult to write than beginnings. Like many writers, by the time I get to the end, I just want to be done. A great ending is revealed through the revision process. When revising your manuscript, here are some ideas to consider when working on the end of your story. Did you answer all your reader’s questions? If you are writing a sequel some questions can be left for the next book, but even then, readers want answers to the major questions. Did you resolve the conflict in a satisfying way? Having a great build-up in the climax of your story but a less than complete resolution is never satisfying to the reader. 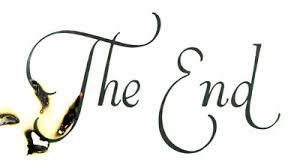 If you are planning to surprise your reader with your ending, make sure it fits and doesn’t seem gimmicky. Think about the take-away of the book. Not every story has a moral, but every story leaves the reader with an idea or feeling. After considering the above suggestions, if you are still struggling with your ending, put your story to bed for a while. I had a manuscript that I had revised and revised and revised. It seemed ready, but I didn’t like the last line. I put it away and picked it up nine months later. With the perspective of time, I came up with what I believe is the perfect last line. Sometimes endings just need a little time . I especially like "Did you answer all your readers' questions?" Sometimes we are so familiar with our own book it's hard to know a question exists. It's a good question to ask our readers/editors to address in the final edit process. I think that's why it is also good to put a manuscript down for an extended period. You can than pick it up with a new perspective. Great tips Mary Jo. Endings are so important and I've read a lot of good books with ho hum endings. I agree Maggie. If I don't like the ending I'm less likely to pick up another book by the author. I remember attending a workshop with Richard Peck 4-5 years ago when he said that endings should be the beginnings rewritten. I've since heard different versions of the same sentiment but it is excellent advice. I like that advice. Thanks Dawn. Good post. I tend to agree with Dawn--if you can bring the story "full circle" that answers the story question or problem you've posed at the beginning. Heidi I think sometimes authors have a hard time coming "full circle" if they have too many story lines. I also have a problem with my endings. Not sure why, but I do. Knowing that you need to tie up all loose pieces and answer all the readers' questions, and deliver on what was 'promised' in the beginning and middle, is a good way to write an ending that is satisfying. I think it's not only how you tie it together, but I really do care about that last line. A timely post. I've just (this last few minutes) finished reading a novella length self-published story that could've done with at least one more edit, but was trundling along OK, until it hit the ending ... it just - stopped! The final scene was hugely emotional and I got the feeling the author drained all her juice for it and had nothing left to finish the story itself. I want to leave a review and be able to say these things without getting brutal. This woman had the gumption to put her work out there and I want to honour that at the same time. I'm going to write everything down, let it sit overnight, edit and post it on the morrow. It is really disappointing when a novel is good until the end. I think the self-publishing industry has allowed people to finish writing and put their work out there without enough re-writes. Good idea to let your review stew overnight. Great advice, Mary Jo. I will keep it in mind as I continue editing my mystery story for 7-9 year olds, and will take extra care to follow your suggestions for the ending. Will the story have a sequel? I think writer's sometimes confuse the concept of hinting towards a new story line with finishing the present story. I just found an article on this very topic the other day. I will have to compare. Thanks for the additional information! Love to hear if you discover additional tips. People will forget if the first page was less than stellar, if they kept reading, but they won't forgot a bad ending. I totally agree it can ruin a series. Juliana, nice analogy! :) Thanks for stopping by.